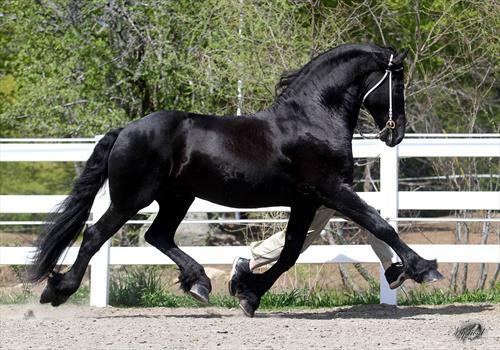 Friesians of Majesty, a beautiful 650 acre breeding and training equestrian farm in Vermont, has open spots for motivated apprentices to learn and work with top quality Friesian horses. The Apprentice Rider position assists the head trainer, grooms, tacks up and grooms for the trainer, lunges young horses, assists with retraining of broodmares, schooling of horses, training of youngsters, if able. Please add your dressage riding level in your application. 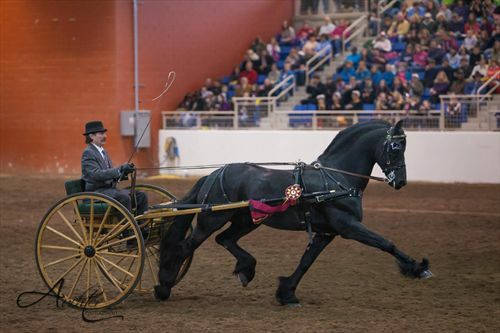 There is an opportunity to learn about other aspects of the horse industry as well like breeding activities; equine husbandry such as proper care and feeding for different weather situations, age groups, genders, type of work the horse is in, proper shelter needs, how to communicate with horses; proper riding techniques; training young horses; carriage and sleigh driving; showing and correct grooming techniques. The work on a horse farm is always different from day to day depending on the season and duties vary in nature. 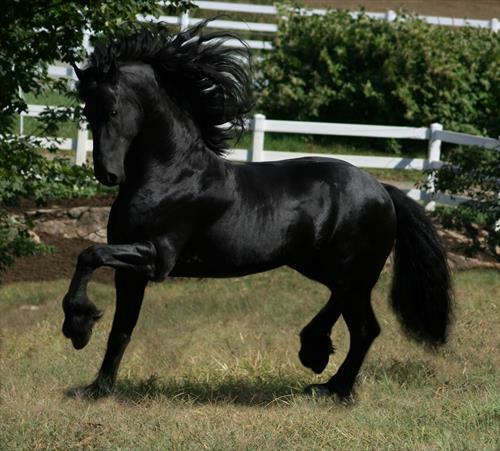 All tasks have horses and their care in focus. Time is split between daily barn chores and new learning experiences. Nearly everything is taught on the job and the apprentices assist and if possible, later performs the task on their own. Work duties change and expand with the growing knowledge of the apprentices and their own abilities and interests. Every other month the apprentice is asked to fill out a report card as well as gets one from supervisors and teachers about their progress to compare both points of view. This ensures that the apprentice is aware of their accomplishments and helps to adjust the program to meet their students needs in the best way. 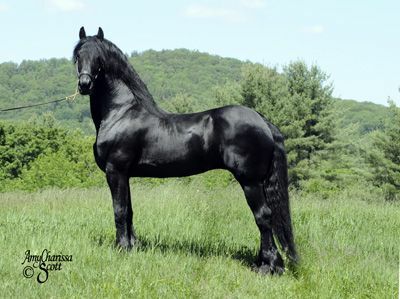 After successful completion of the program, the apprentice receives a certificate about their time at Friesians of Majesty. No matter what facet of the industry you are looking to be part of, this experience will help to make you a valuable and employable asset for the horse industry! 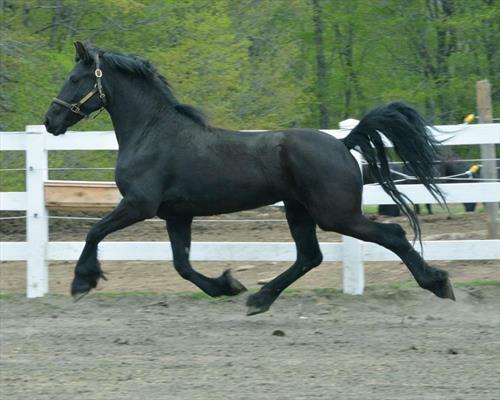 Professional instruction from formally educated head trainer, opportunity to ride quality horses, expand your knowledge of the care of competition horses. 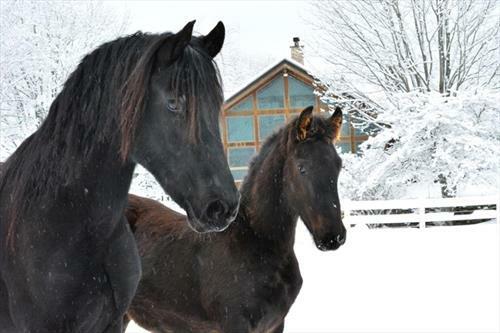 Exclusive 650 acre Friesian horse breeding,training, and sales facility. 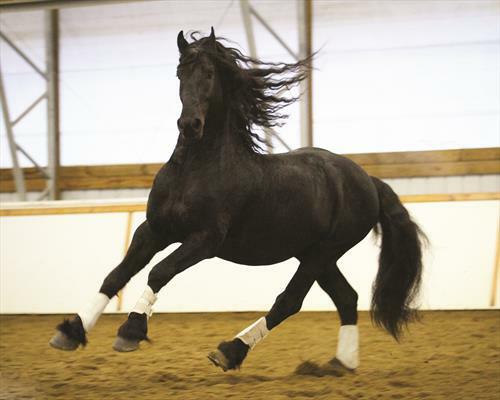 We are the largest Friesian farm in North America and home to some of the top Friesian horses in the country, including our breeding stallions Othello de Berthonval and Mathijs Friesians of Majesty. Through our program, we offer internships and apprenticeships in: breeding, dressage, driving, farm management, starting young horses, and preparation for keurings and competitions. Our breeding program is thorough and completely on site, with a certified breeding technician on staff who does all collections, inseminations, embryo flushes and transfers. 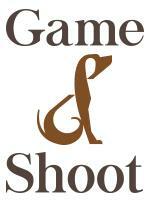 We specialize in dressage and have many excellent school masters ready to teach the fundamentals of correct riding. We are truly an all encompassing facility.